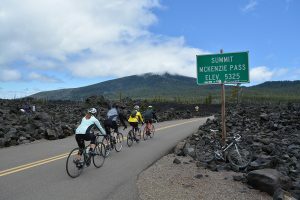 The McKenzie Pass summit, named for the McKenzie River, is located on the scenic McKenzie Pass Highway (Route 242) just west of the Dee Wright Observatory. 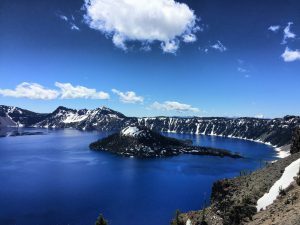 Until the 1860s, the pass was a Native American trail that was later used for driving cattle over the Cascades. See piece of cake, right?